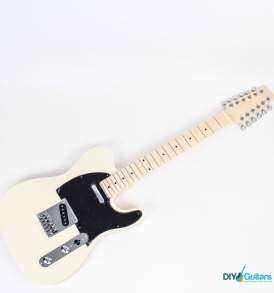 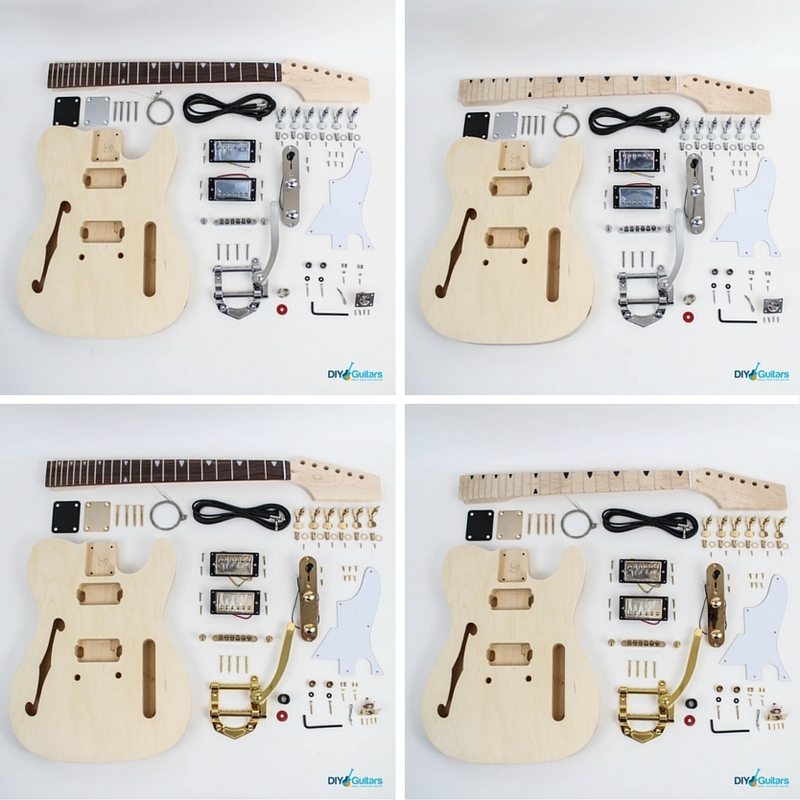 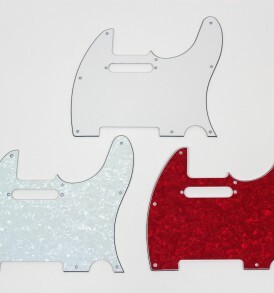 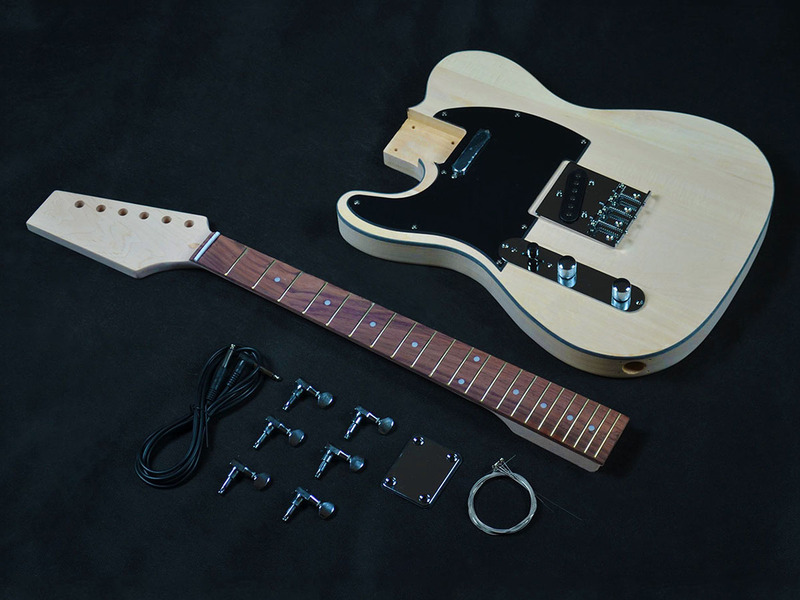 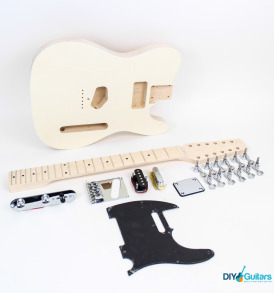 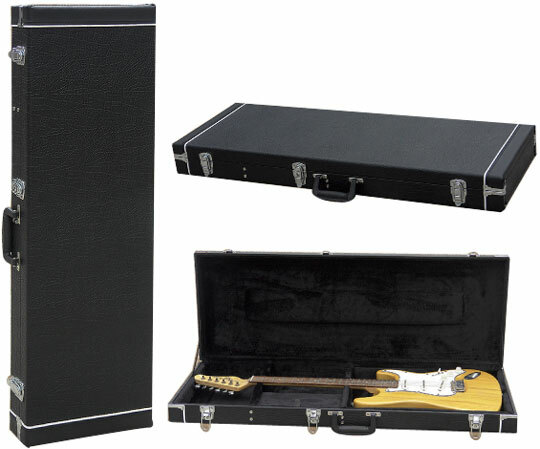 Vintage looks and quality parts come together to make this the ultimate Tele® DIY kit. 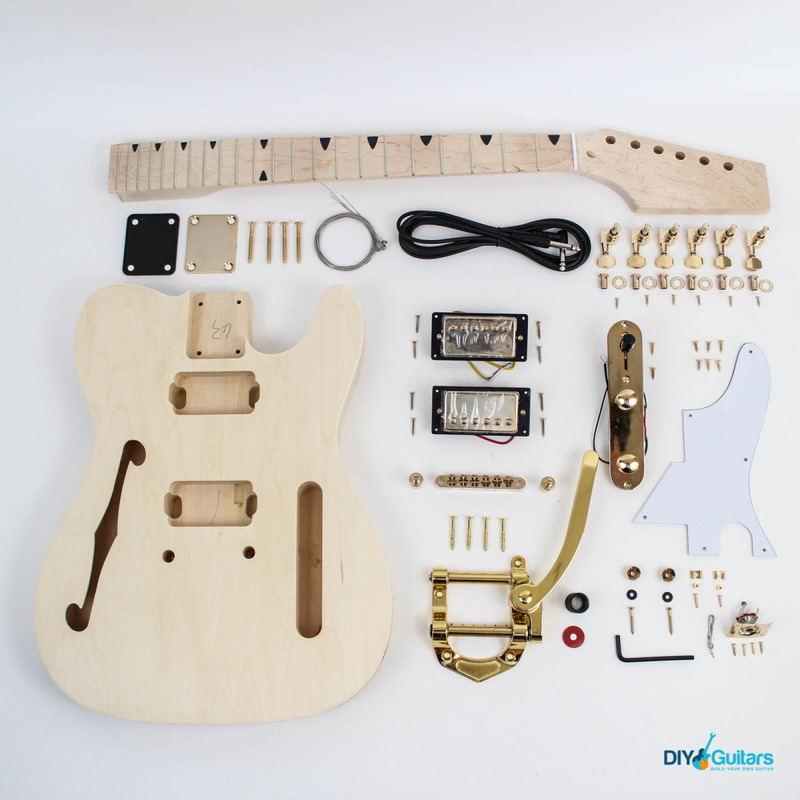 Styled on the classic, semi-hollow Thinline guitar, this kit literally shines with gold hardware and provides great performance with twin humbucker pickups and a Bigsby style tremolo. 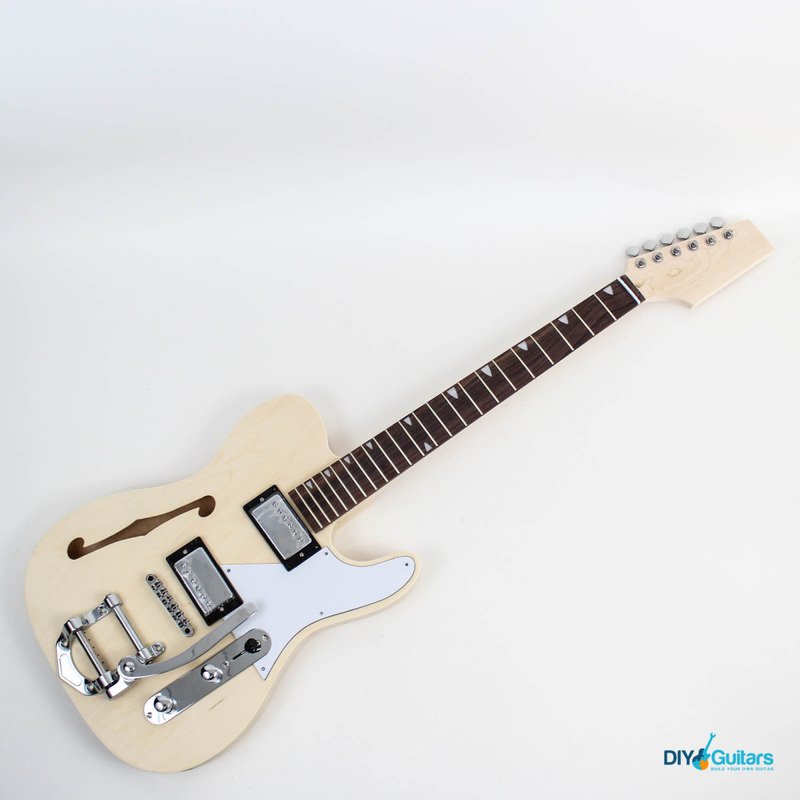 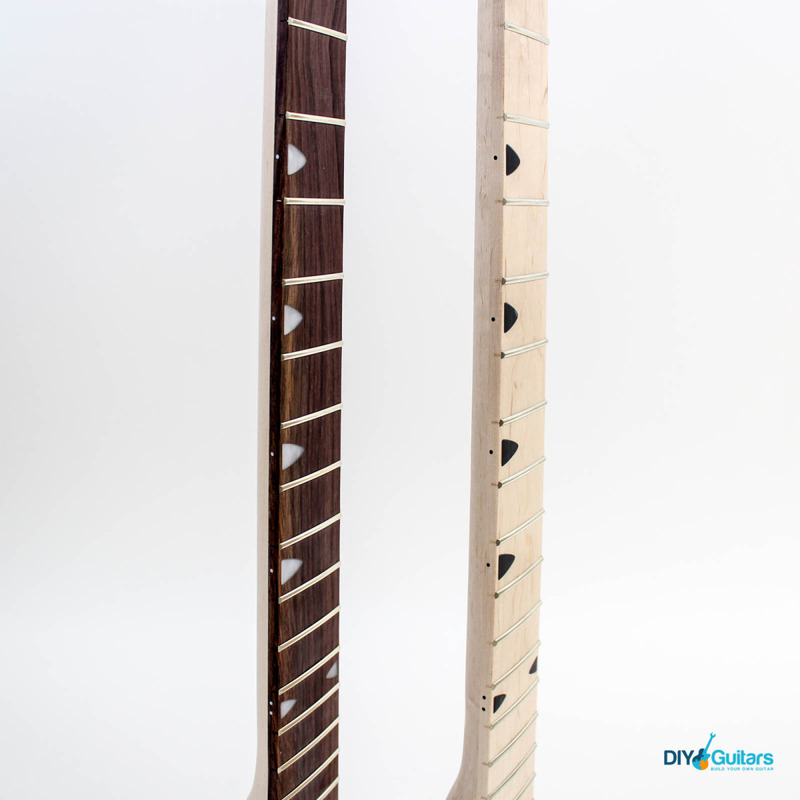 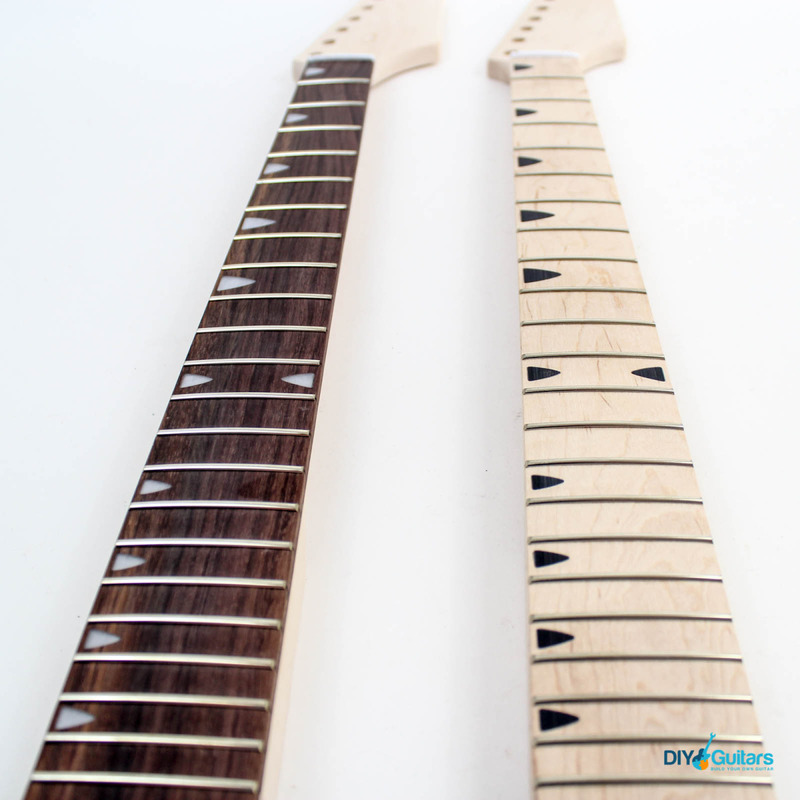 Once you’ve added it to your collection, you’ll find yourself reaching for this guitar every time. 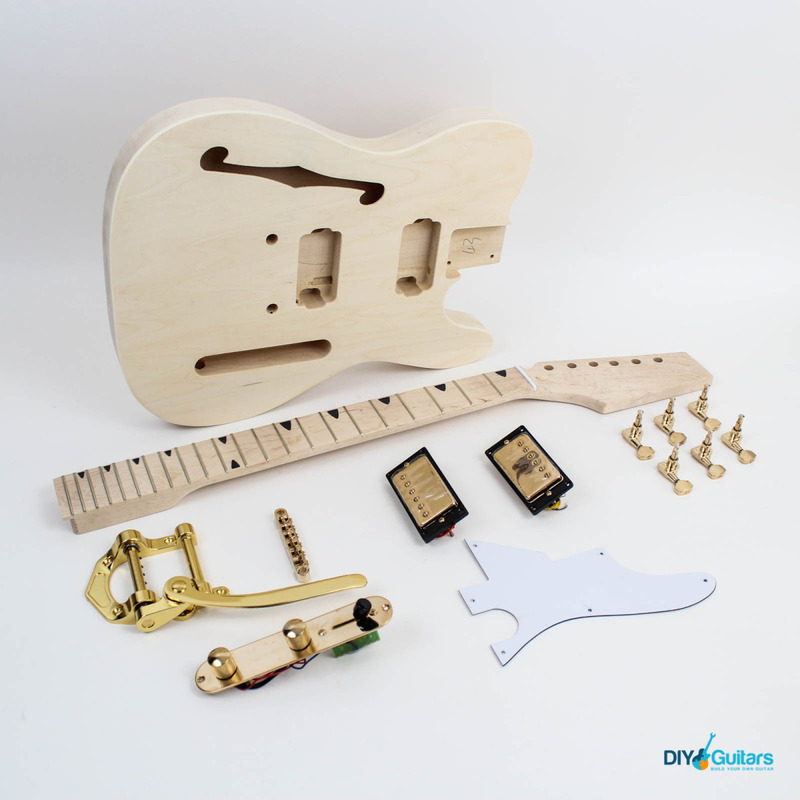 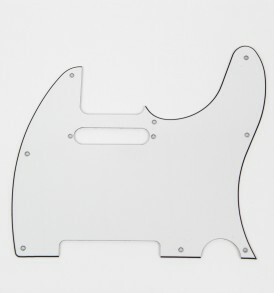 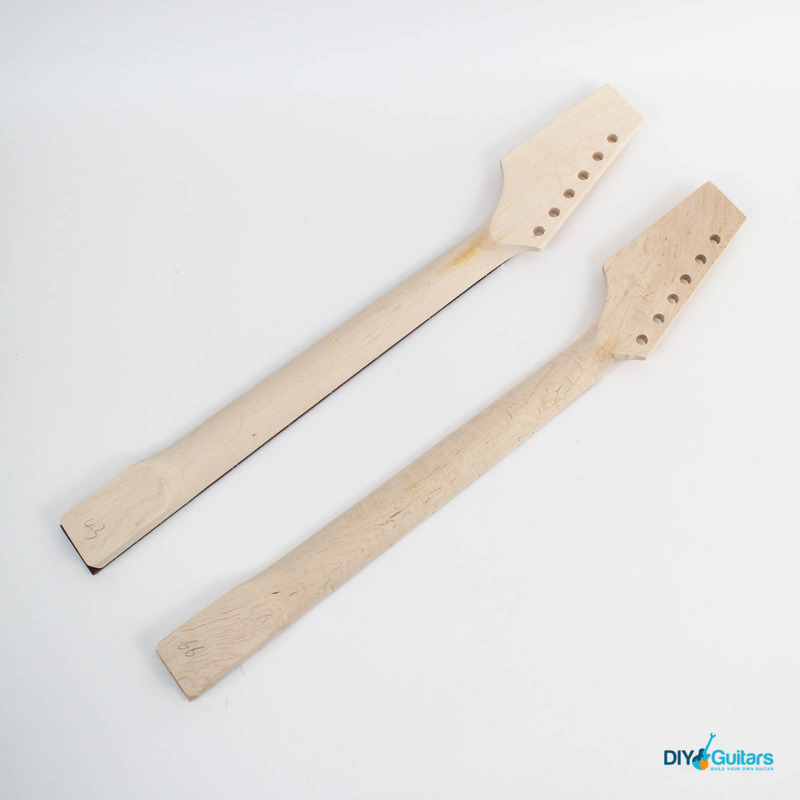 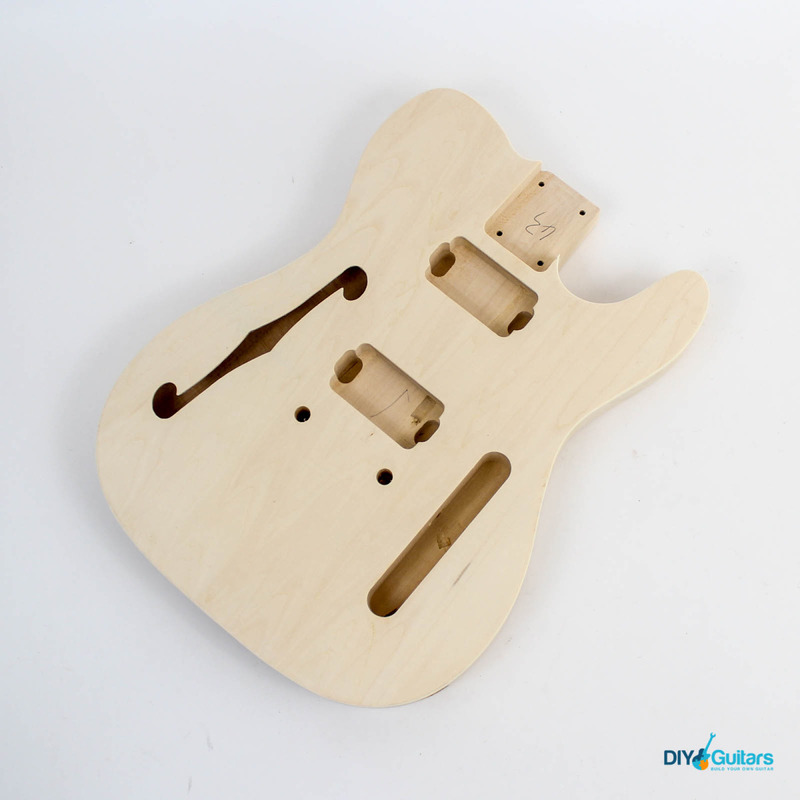 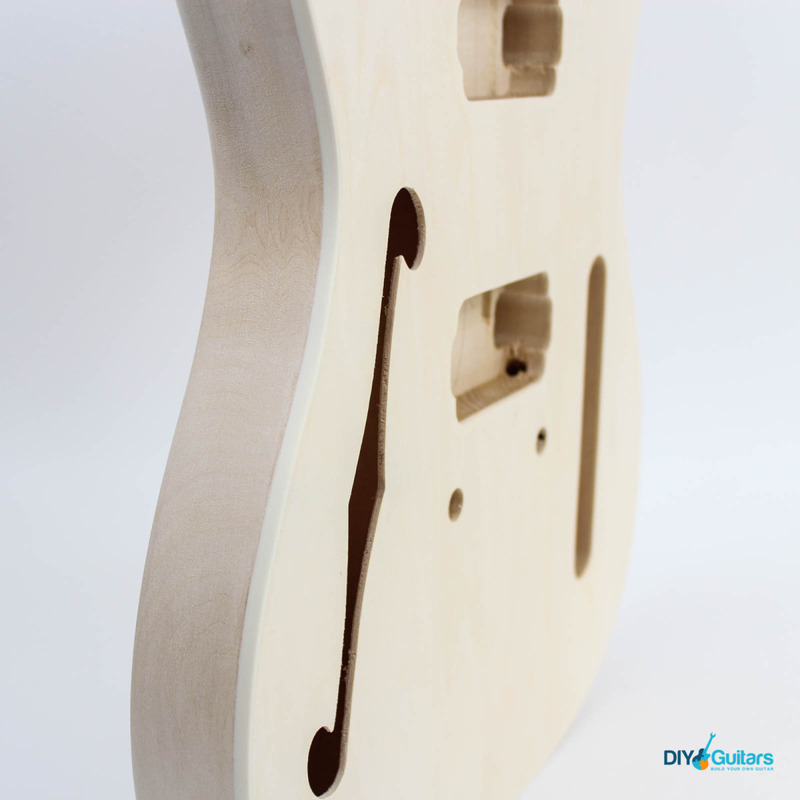 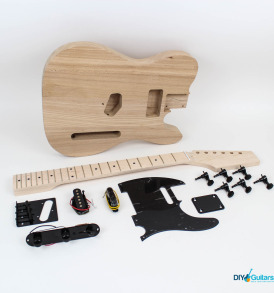 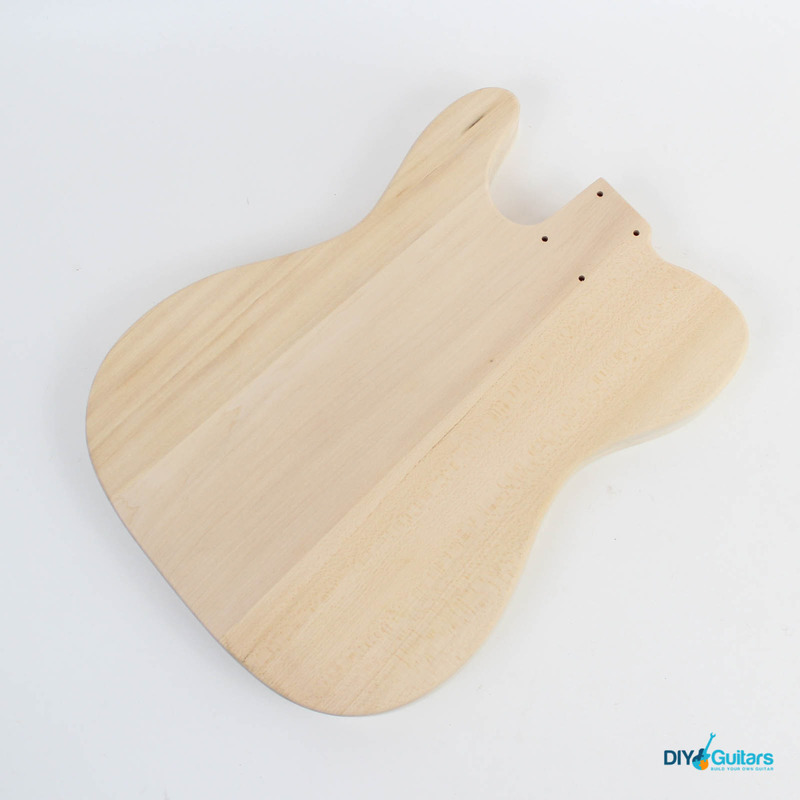 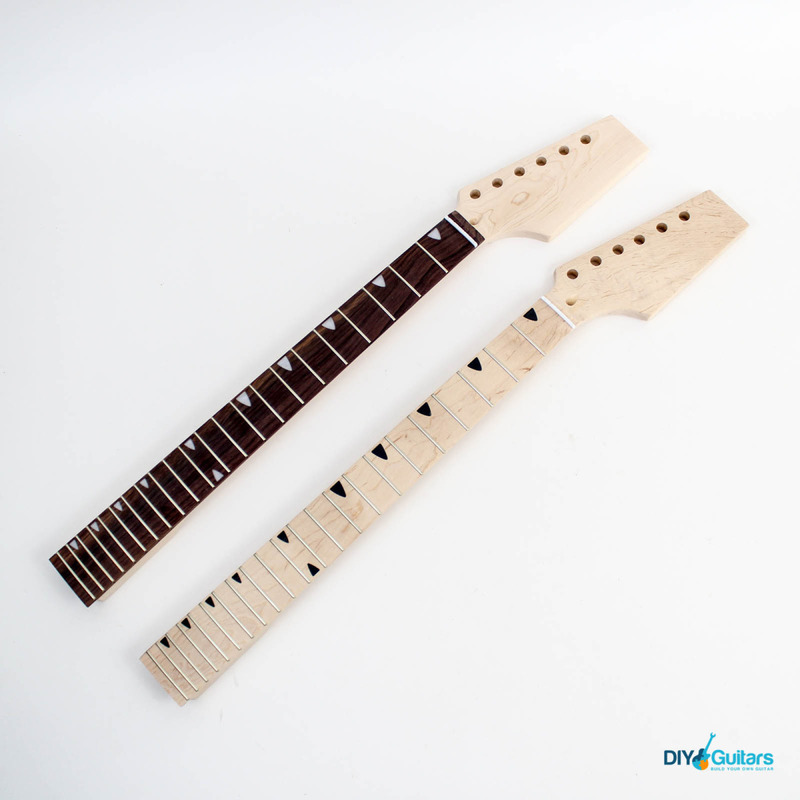 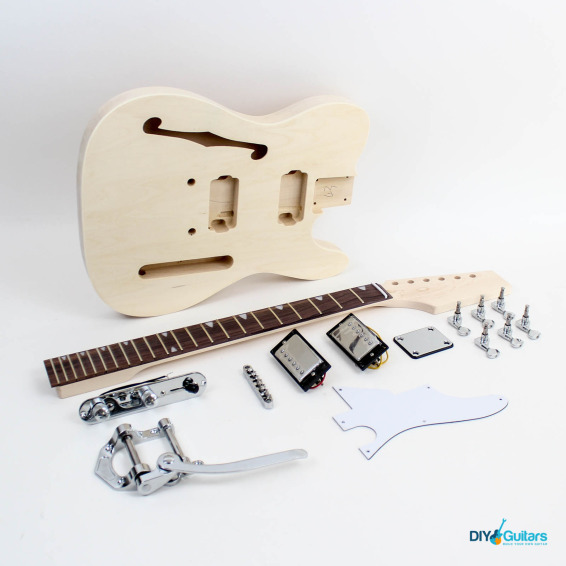 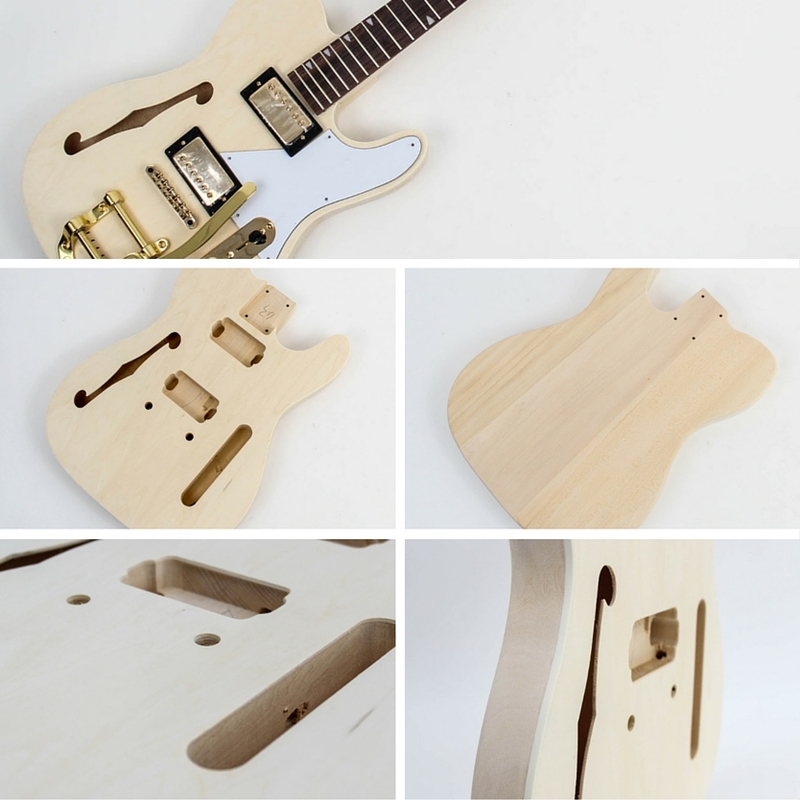 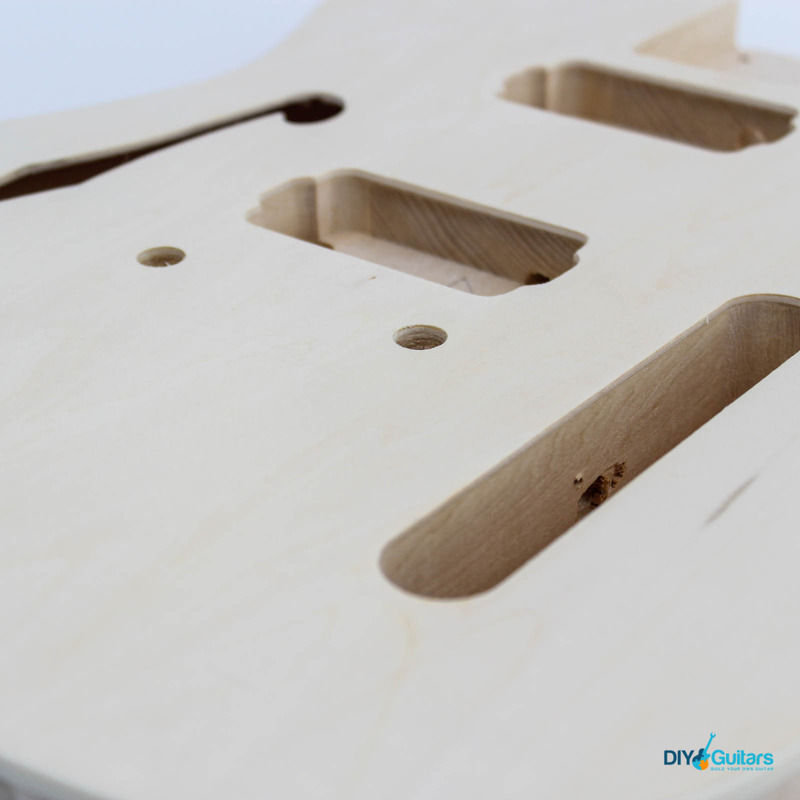 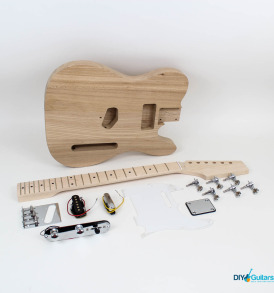 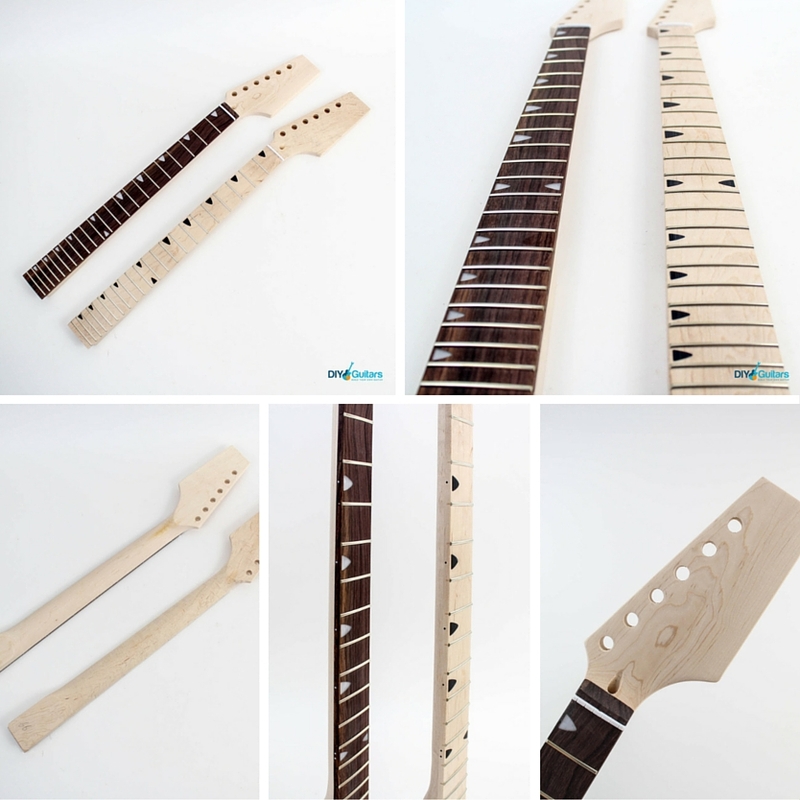 The kit includes the body, neck, pickups, tremolo, bridge, posts, machine heads (tuners), volume/tone knobs, neck plate, pickguard, strap locks, pots, capacitor, switch, output jack, screws, sleeves, bolts, washers, insulated wire, solder, lead, starter strings, allen key.